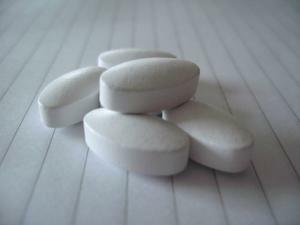 Those who suffer from calcium deficiency should definitely consider taking calcium supplements. Calcium is one of the essential minerals required for numerous different bodily functions and it is also an integral part of the development of bones, nails and teeth. It is efficient in preventing certain types of medical conditions such as osteoporosis. Calcium can also be of great help when it comes to enhancing the process of blood clotting, regulating the heart rate and stimulating the production of hormones. The best food sources of calcium include milk and numerous different dairy products, meat and leafy vegetables. Nowadays, there are numerous different types of calcium supplements available on the market but they can also be affiliated with certain side effects in some cases. Most medication overdoses are usually very harmful for certain aspects of the health of an individual. Calcium supplements may be useful in providing the human body with the much needed supplies of calcium but they must always be administered according to the prescribed dosage. Calcium supplement overdose may affect the digestive and cardiovascular systems in the human body. The most common symptom of a calcium supplement overdose is constipation. It is a medical condition in which the human body cannot get rid of the accumulated waste and it is commonly accompanied by abdominal pain and abdominal bloating. An overdose can also lead to a medical condition known as calcium toxicity. Calcium supplement overdose may also lead to a significant reduction of saliva secretion and a dry mouth. These symptoms may also sometimes be accompanied by a significantly reduced ability to taste and difficulty swallowing. A calcium supplement overdose is also commonly affiliated with a loss of appetite triggered by certain symptoms such as stomach ache, vomiting, nausea, indigestion and abdominal bloating. Prolonged use of calcium supplements may also lead to the formation of kidney stones which are usually affiliated with very painful urinations. Calcium supplements are also known for interacting with other medications and supplements and quite often they may be responsible for reduced absorption of tetracycline and iron inside the human body. Calcium supplement overdose is also usually accompanied by nausea and frequent vomiting. Other common symptoms of a calcium supplement overdose may also include belching, stomach pain, coma, confusion, seizures and in some rare cases even sudden death.